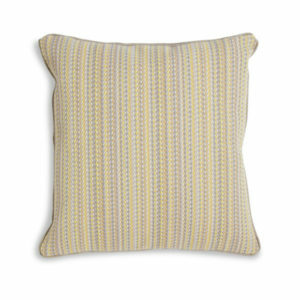 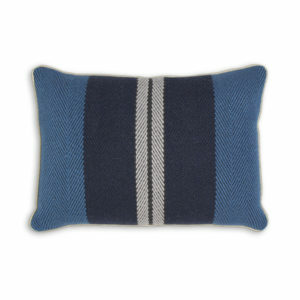 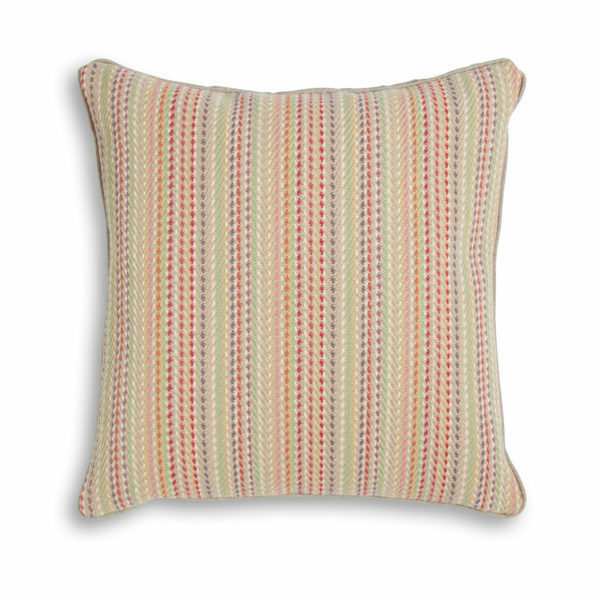 A large, comfy cushion made with Roger Oates 100% wool Venetian flatweave, backed in linen and feather filled. 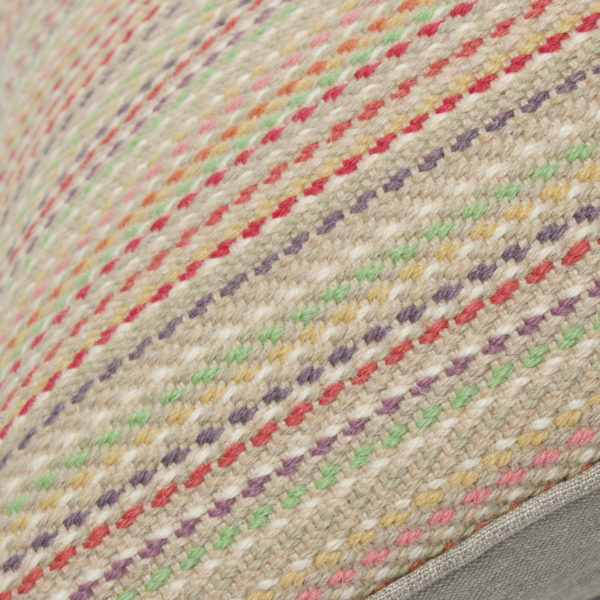 Bright pastels inspired by cherry blossoms. 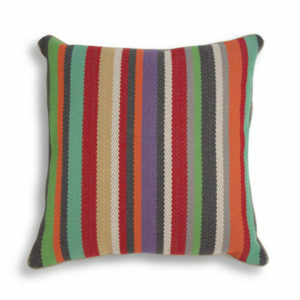 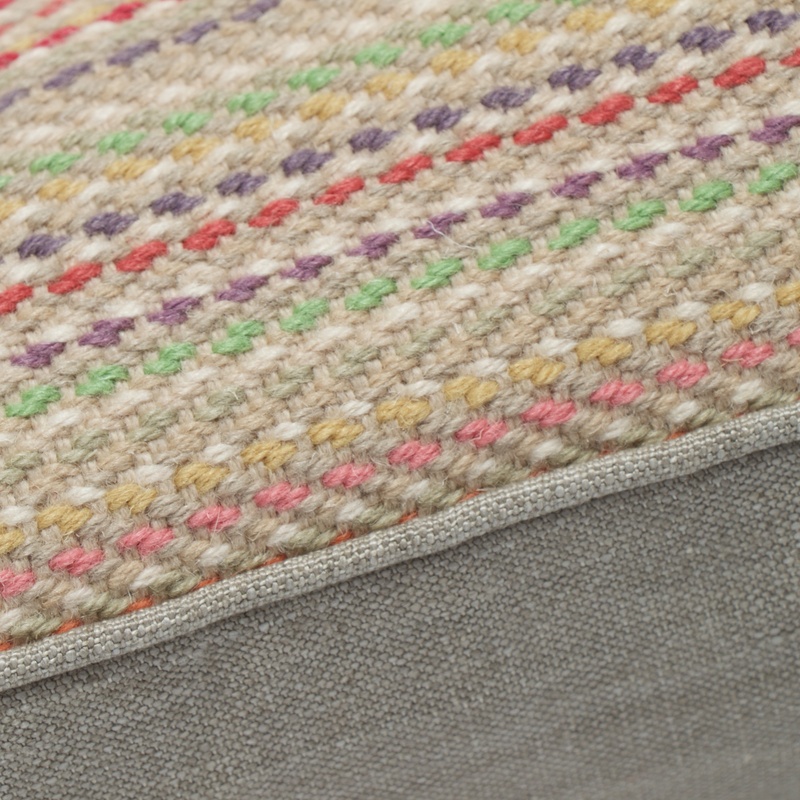 A bright flecked stripe, a perfect mix of colour and texture.